RE-ISSUE, RE-PACKAGE, RE-EVALUATE THE SONGS…. In 1986, The Cure enjoyed huge sales thanks to the release of Standing On A Beach, a 13-track compilation of all the band’s singles up to that point. Reaching #4 in the album charts, it was up until that point the biggest selling and highest placed of any of their records and there’s no doubt it increased both their profile and their fan base. Just four years later, the band and record label tried a similar trick with the release of Mixed Up, this time an 11-track compilation comprising different mixes of 10 old singles and one brand new song. Released towards the end of November 1990, it was a great bit of marketing as it was sure to find its way onto many a Xmas list…. The album was a big success hitting #8 in the UK charts but more importantly climbing to #14 in the US album charts and thus maintaining the momentum from the success of the previous year’s Disintegration. 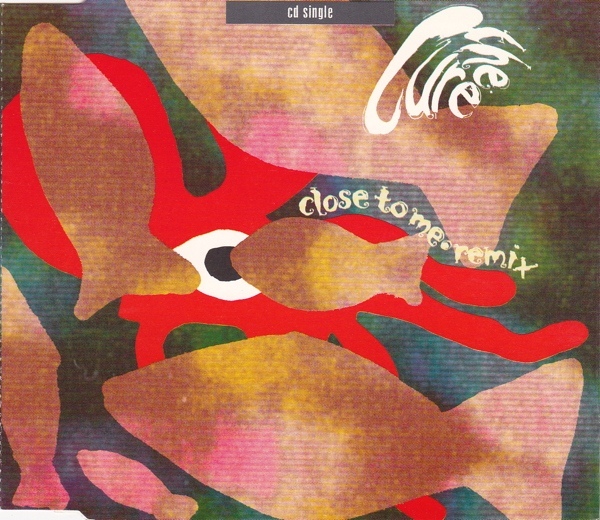 The remix proved more popular than the original reaching #13 in the charts as opposed to #24 back in 1985 – proof if any was needed that The Cure were now a band with more followers and admirers than ever before. Personally, I’m not convinced by either remix, but then again I was, and remain, a big fan of the original versions. Is it remix album Monday or something? A really good comp this, though in fairness, pretty much any Cure comp is more than worthwhile. Talking of which… no ICA yet??? I had high hopes for Mixed Up, but in the end it left me a bit flat. I think if you hold the originals really dear, as I do, some of these of the moment remixes were just not up to the task. The remix of Primary on the single was awful. Standing On A Beach was wonderful and I actually bought the cassette as well as it included the B-sides and the CD for the 4 extra deep cuts. I think about half of them worked well, but the ones which didn’t were spectacularly bad. I’d never heard of this remix album – not entirely sure I was missing out on much. Think I’ll stick with the originals! Don’t know if I prefer the Close To Me (Closest Mix,) but I certainly like it well enough to bring up the question. However, Just Like Heaven is one of the most perfect pop songs ever, so I found this remix revolting.